Items Starting at $5. Win a Prize with GG. US only. SUPER CLOSED. Will be sending out the transactions tomorrow when the post office reopens after the holiday. 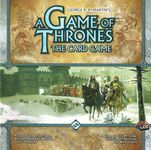 Game of Thrones is still open as there was a bid a few hours ago. GeekGold will be accepted for winning bids in this auction at the following trade rate. For simplicity, please make all bids in whole USD. After winning you will be able to pay instead with GeekGold or some combination thereof. Please view the first item to learn how to win the prize. Minimum bid on all items is $5(250GG). Bids must be made in whole USD. Paypal only when paying in USD. Cash accepted for local pickup. 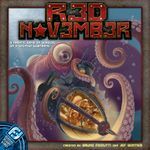 This is a BGG commission auction. All items will be shipped with USPS Priority Mail. I will combine shipping. EDIT: My apologies for the mistake below. It is corrected. The intent was to prevent sniping at the end of a normal auction. Auction ends for each item individually, 24 hours after the last bid entered OR Sunday, October 13th, 9PM PDT/Midnight EDT, whichever comes LASTfirst. This item is not for auction! This is a GG lottery! Like new. Played Once. Complete. Like new. Played twice. Complete. If you win, ask me about Fairy Dust. Great Condition. very slight shelf wear, Amazing condition for age. Complete. Great condition. Some very slight shelf wear. Amazing condition for age. Complete. Like new. Big Box Edition. Complete. 2 Sealed decks from the Battle Box pictured with the two D20's and the rules. Everything but the box which was 90% air. Complete. 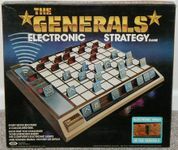 Stratego-like game with electronic battle resolution. Box: Good. No split corners. Shelf wear showing age. Components: Excellent. Complete. The electronic board is in full working order. With correct jewel case and rules. Edited to note this is for the PS3. Blank jewel case and no rules.